Engaged in advertising industry since 1998, he has abundant brand communication and management experience. As an active advocate for the full-service communication in digital media, he is accomplished in frontline business and has rich experience in various industries, including FMCG, home appliances, clothing and financial. ● From July 1998 to July 2000, appointed as Associate Account Director of Guangzhou United Advertising Co., Ltd.
● From July 2000 to February 2003, appointed as Associate Account Director of Saatchi & Saatchi Guangzhou. ● From March 2003 to December 2006, appointed as set up Sun Planning as the Partner and General Manager, responsible for the company's operation management, business development and customer relationship management. 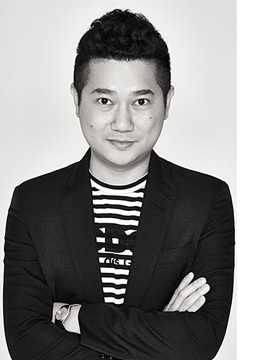 ● From December 2006 to March 2012, appointed as Group Account Director of Ogilvy & Mather Advertising Shanghai. ● From March 2012 to March 2014, appointed as Business Director of Saatchi & Saatchi Shanghai. ● From April 2014 to May 2017, appointed as Vice President of DDB China Group, and Managing Director of DDB Shanghai. ● In June 2017, appointed as appointed as President of Beijing Dentsu Shanghai Branch. 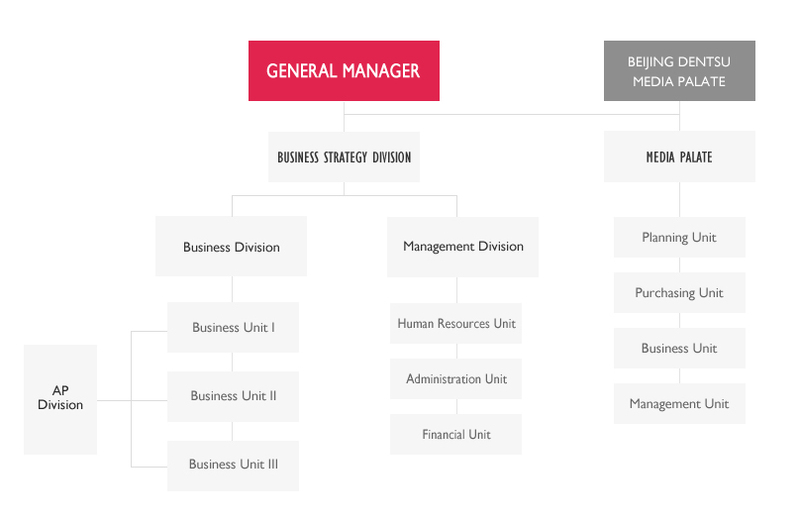 １）Business Strategy DivisionThis office is responsible for making the business strategies and concrete tactics for the company's mid-and-long term profit and development. Its vision is to create a “space for the employees' personal development”. Flexibly utilizing Dentsu' Group's internal business resources related to social topics, it propels the sifting and development of R&D projects from the business perspective. ２）Business Division/ AP Division It brings Client's Inter-face function into play to achieve speedy and quality services. Each department is complemented with an Account Planning Section, which deals with matters related to all-around communication solutions such as advertising, SP, events, PR, Digital and creative production. ３）Management DivisionThe main purpose of this department is to supply sufficient support to employees in all aspects to stimulate their ability to the utmost. Meanwhile, it also holds events relevant to the mutual development of the company and society. ４）Dentsu MediaIt handles the business related to the comprehensive media planning of advertisers' subjects and promotes the advertisers on traditional media, OHH, digital media and other media.